As I figured, my pictures for this week are not that impressive. I possibly look a tad more trim from the side angle. I hate cameras. 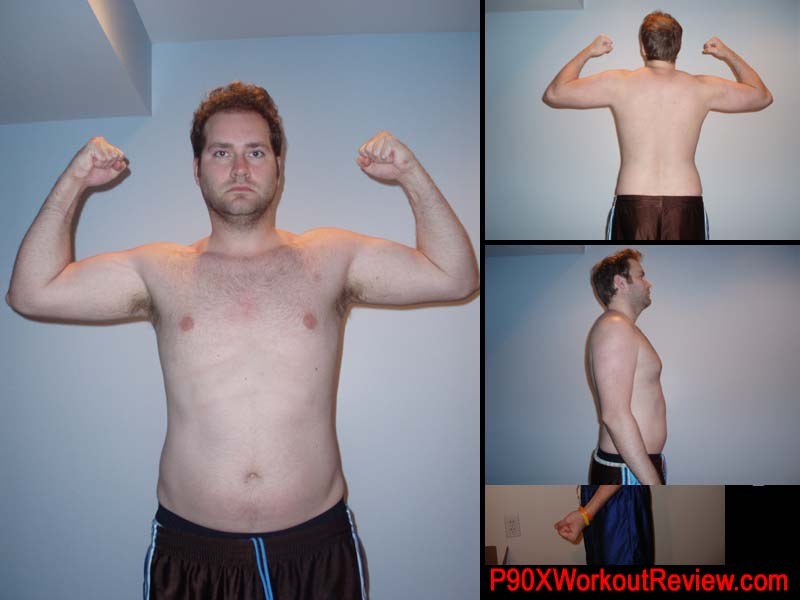 One week isn’t possibly enough time to see any results from working out—even if it’s this insane P90X. I feel like I’m fatter than what these pictures show. Maybe I have a distorted self-image of myself. Now I need to get to the matter at hand, day 1. I was able to finish the entire routine doing 10-15 reps per exercise. This is a vast improvement already from what I accomplished the prior week. Each exercise I push myself until I fail. Sometimes it’s ten reps, sometimes its 15. Once again, ab ripper destroyed my soul. I feel like a part of me dies when I do the ab ripper routine.